Gorgon is one of the world's largest LNG projects and the largest single resource project in Australia's history. Located on Barrow Island – a Class A Nature Reserve – Gorgon comprises a three-train, 15.6 million tonnes per annum LNG facility and a domestic gas plant with the capacity to supply 300 terajoules of gas per day to Western Australia. With the capacity to also produce 20,000 barrels of condensate per day, the Gorgon Project will remain an important pillar of the Australian economy for decades to come as it continues to meet global demand for cleaner-burning fuel. The Gorgon Project is located on Barrow Island, around 60 kilometres off the northwest coast of Western Australia. With a predicted project lifespan of more than 40 years, the development of Gorgon is a legacy in reliable energy supply, environmental management, innovative technology and expertise. The first LNG cargo departed Barrow Island on 21 March 2016 and domestic gas supply to the Western Australian market commenced in December 2016. Additional wells and subsea infrastructure will be added to the existing Gorgon and Jansz-Io gas fields to maintain future gas supply to the three existing LNG trains. This was always envisaged as part of the original field development plans. Australian contractors and suppliers are encouraged to learn more about opportunities on Gorgon Stage Two and Jansz-Io Compression (JIC) by visiting ProjectConnect and ICN Gateway. The Gorgon Project is operated by Chevron Australia and is a joint venture of the Australian subsidiaries of Chevron (47.3 percent), ExxonMobil (25 percent), Shell (25 percent), Osaka Gas (1.25 percent), Tokyo Gas (1 percent) and JERA (0.417 percent). 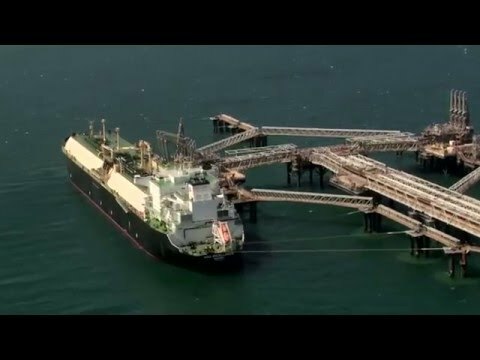 Watch the evolution of the Gorgon Project, the largest single-resource development in Australia's history. Everything about Gorgon is massive. That includes its economic impact on the Australian economy. We're providing local opportunities on a scale never before seen in Australia – spending more than $40 billion on Australian goods and services and awarding more than 700 contracts to Australian companies. At peak construction, the Gorgon Project directly employed more than 10,000 workers. Now in operations, our focus turns to the creation of highly skilled long-term jobs in LNG and domestic gas plant operations, maintenance and logistics support. *Economic forecasts are based on the period 2009 – 2040. Source: ACIL Allen Consulting independent research report October 2015. Take a look into the Gorgon Project's subsea gas gathering system - the largest ever installed in Australia. The Gorgon Field was discovered in 1980 by West Australian Petroleum Pty Ltd, a joint venture of Ampol Petroleum and Caltex (owned by Texaco and Standard Oil of California, later to become Chevron). Further drilling and appraisal throughout the decade established the resource was world-class. 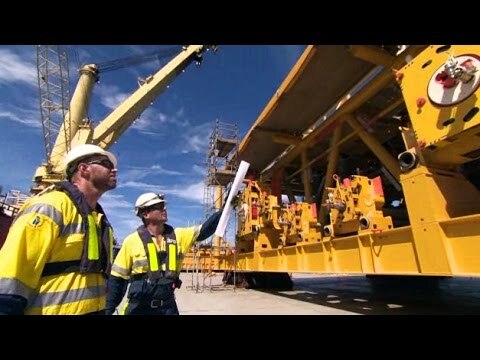 By the turn of the millennia, Chevron Australia had become the primary operator of oil and gas exploration and asset production on Barrow Island and after years of planning and engineering, the task of constructing the world's largest modular LNG plant began in 2009 when a final investment decision was made. Barrow Island has been a Class A Nature Reserve since 1910 and is an internationally important conservation estate. It is also Australia's largest onshore operating oilfield. We are proud of our environmental reputation and performance on Barrow Island. Our Barrow Island Quarantine Management System, the world's largest non-government quarantine initiative, serves as a model for environmental stewardship as well as our management of oilfield operations on the island, which is widely recognised as an industry benchmark for the successful coexistence of petroleum development and biodiversity protection. The Gorgon Project is developing two gas fields – Gorgon and Jansz-Io. The gas in the Gorgon field contains on average 14 percent naturally occurring reservoir Carbon Dioxide (CO2) while the Jansz-Io field contains less than one percent. During the liquefaction process, when the natural gas is cooled to -162° C, if reservoir CO2 remained in the natural gas stream it would freeze into a solid. For this reason, the reservoir CO2 is separated from the natural gas stream prior to liquefaction. The CO2 Injection Project will inject and store reservoir CO2 into a deep reservoir unit, known as the Dupuy Formation, more than two kilometres beneath Barrow Island. While standard industry practice is to vent the separated reservoir CO2 to the atmosphere, the Gorgon Project will inject the reservoir CO2 into the Dupuy Formation beneath Barrow Island. The reservoir CO2 will be separated at the liquefied natural gas (LNG) plant and transported by pipeline to one of three drill centres. To minimise the environmental footprint on the Island, nine injection wells are expected to be directionally drilled from the three drill centres. Once the reservoir CO2 is injected, it will migrate through the Dupuy Formation until it becomes trapped. An on-going monitoring program, which includes observation wells and seismic surveys, will assist in managing the performance of the Dupuy Formation. The Gorgon Project incorporates one of the world's largest carbon dioxide injection projects. Chevron Australia has signed a number of Sales and Purchase Agreements (SPAs) with premier LNG buyers for the delivery of liquefied natural gas (LNG) from the Chevron-operated Gorgon Project. These agreements include SK LNG Trading (4.15MT), Osaka Gas (1.375MTPA), Tokyo Gas (1.1MTPA), JERA (1.44MTPA), Kyushu Electric (0.3MTPA), JX Nippon Oil and Energy (0.3MTPA) and GS Caltex of South Korea (0.25MTPA). In addition, Osaka Gas has acquired 1.25 percent equity interest in the Gorgon Project, Tokyo Gas has acquired 1.0 percent equity interest and JERA has acquired 0.417 percent equity interest.